1979 we have got our first french shepherd, a Beauceron-male from the first litter of this breed in Austria. 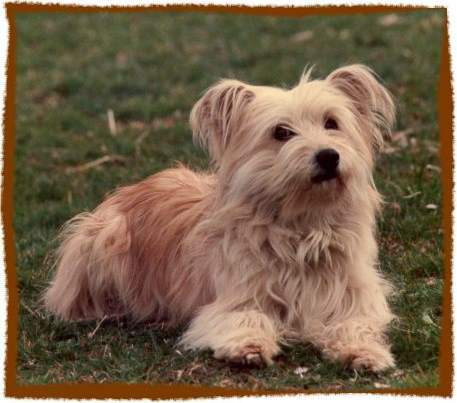 Little time later came from Italy the first pyrenean shepherd to us and since this time we have been very activ to notify this breed in our country. Since 1985 we are breeding very succesfull Pyrenean shepherds and since 1992 also Picardy shepherds, both breeds are very well together. Our breeding-aim is since the beginning the PRESERVATION of the two breeds in their original, typical and loveable kind. The most important qualities in our Kennel are the soundness, healthness and the character of the dogs. All breeding-dogs are x-rayed and since many years we only breeds with dogs with the result A or B and so we comply with the highest international requirements. The x-ray results from our puppies confirms us that this is the right way to do. 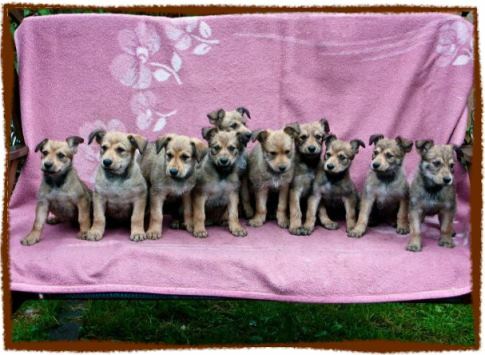 Our puppies lives in house and garden in the Tyrolean mountains 1000 m over the sea, with a lot of contact to other peoples, other dogs and cats and they are very well socialised. We show our dogs at many shows around Europe and especially at special shows and they are very successful. That's a proof that they compare in high level to the actual standards. Dogs from our kennel are also effecticve at different working competitions like agility and obedience and we thanks the puppy-buyers for the activities. Since 1998 we are the most succesful breeders from pyrenean shepherds outside France in the german-speaken countries. We have been every time very strong orientated to France - a succesful breeding without orientation to the native country is only possible with difficulty. We are the own Kennel of french shepherds who is recommanded by the Austrian Kennelclub, 1995 we have got a distinction for exceptional work in breeding of pyrenean shepherds" and 1999 the same for the picardy shepherd. Sometimes we have high quality puppies with best pedigrees to sale. Austria, Belgium, Czech Repuplik,Danmark, Estonia, Finland, France, Germany, Great Britain, Greece, Hungaria, Italy, Netherlands, Norway, Portugal, Switzerland, Sweden, Slovenia, South Africa, Japan, Canada,California, Connecticut, Florida, Georgia, Illinois, Kansas, Maine, Massachusetts, Minnesota, Missouri, New York, Ohio, Pennsylvania, Tennessee, Texas, Vermont, Virginia and Costa Rica.